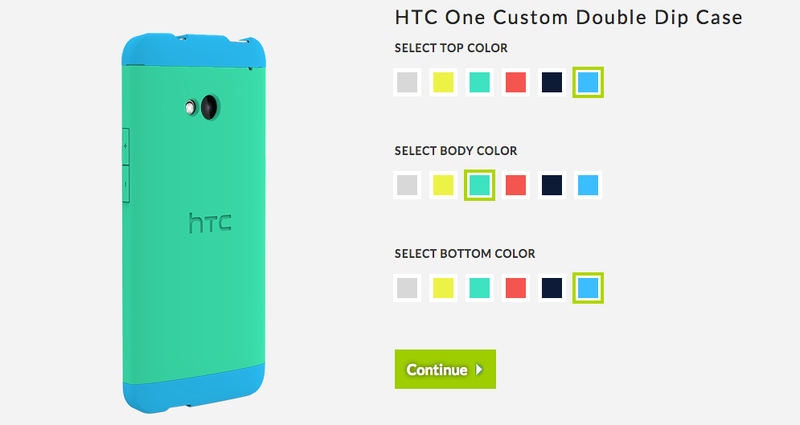 Thanks to the launch of new custom-color cases, HTC is providing a flare of customization for One owners. The cases are Double Dip cases (which have been around since the phone first launched), and buyers can choose up to three different colors to add to the cases, out of six different color options. It is by no means as awesome as Motorola’s MotoMaker for Moto X buyers, but some color is better than no color, right? On the site, you first choose a top color, then a middle color, then a bottom color. From there, it’s to the Checkout you go. The color choices are Glacier Grey, Neon Lemon, Atlantis, Bright Peach, Navy Blazer, and Pastel Blue. We don’t know exactly when naming colors became so pretentious, but apparently it’s a craze that is sweeping the world of mobile devices and customization. The cases will run you $29.99.